In Advanced Dental Clinic Asensio we are committed to our patients. The proof of this is that we have state-of-the-art medical equipment in all the treatments we perform, in order that the results are the most effective and safe at the same time. No discomfort or long waiting times, the Advanced Dentistry of the Asensio dental clinic is a concept so our patients always have the best. There are many popular ways to whiten teeth. Surely more than once we have found in the network home remedies to whiten teeth. There are even whitening kits available in pharmacies and other stores. However, we are all aware that a treatment based on home remedies is not far as effective and safe as it is in a dental clinic. Dental whitening kits are very economical, but ineffective. 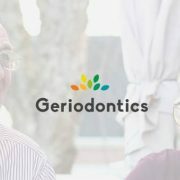 Taking into account that the denture is for life, at the Asensio dental clinic we always recommend that you go to a specialist, it will always be a professional who performs the treatment and patients can be sure of the results and safety. In our case, we have the Philips Zoom whitening machine, which has unprecedented characteristics in the world of High Dental Aesthetics. Philips Zoom is a cold light machine that does not cause any discomfort. 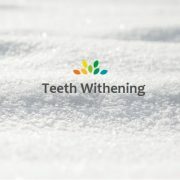 In addition, one of its qualities is that the entire process of teeth whitening lasts less than 45 minutes. All in a very safe way and without damaging the tooth enamel. However, the best feature of our teeth whitening are the results we offer. Our instruments can clarify the tooth up to 8 tones. This means that it produces extraordinary results in record time. In Asensio Advanced Dentistry we give great importance to dental aesthetics in our patients. 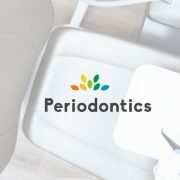 At all times we are at the forefront of technology and we have the best instruments and materials to achieve the best results in our patients. 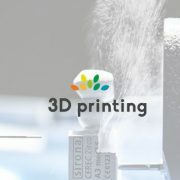 It’s not just the 3D Cerec, surgical laser or Phillips Zoom whitening lamp. 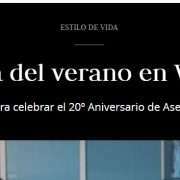 It is not only the more than 30 professionals available in the clinic or the 500 m2 of facilities to attend to patients without waiting. In addition, we have the highest quality materials to execute our treatments. When a patient comes to the clinic with an aesthetic need in one or more teeth, we always offer several solutions. In any case, depending on the tastes and needs of patients, they can choose between one or another option to solve their problem. Ultrafine veneers are chosen by patients who want a minimally invasive treatment and spectacular and lasting results. It is a kind of ultra-resistant porcelain covers, thinner than a lens, which covers the surface of the tooth without damaging it and provokes a spectacular aesthetic. The veneer adheres to the tooth by means of a special cover, and has durability for life. However, above all we achieve a natural smile, since the material and the elaboration of these ultrafine veneers have advanced to the point where they do not distinguish between natural teeth. Ultrafine veneers have been part of the smiles of Hollywood for years. It is a treatment widely used by the stars, both for its minimally invasive method and its spectacular results. In Asensio advanced dentistry we give you the opportunity to get a Hollywood smile, one of the different options that we offer in the clinic. However, it is important to study the needs of each patient before recommending any treatment. That’s why we offer a free first consultation with diagnosis, digital radiography, 3D scanner and free treatment plan. Endodontics is one of the treatments in which we specialize in Asensio Advanced Dentistry. Endodontics is the medical procedure, performed by a dentist, which consists in the elimination of the pulp of the tooth and its subsequent sealing. The pulp of the tooth is the softest part of it, which is located under the tooth enamel. 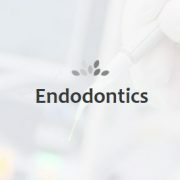 In what cases is an endodontics practiced? Endodontics is practiced when the inner pulp of the tooth has been infected. Normally the infection comes from a decay, which has managed to access the dental pulp through the enamel. In these cases, most patients have discomfort in the area and go to the dentist to mitigate their pain. In Asensio we provide a mild local anesthetic if necessary, to calm the patient and make the treatment as comfortable as possible. The procedure to perform an endodontics is simple to explain, however the success rate in the endodontics is not very high, due to factors that we will explain in the next point. An upper point of the tooth is perforated and the dental pulp is eliminated. Depending on the technology of the clinic you can use the traditional irrigator and other more innovative and effective methods. In Asensio Advanced Dentistry we use state-of-the-art technology to achieve unseen success rates in endodontics. On the one hand, it is difficult to see in detail which are the most affected points inside the tooth, so we use a ZEISS microscope with which we achieve a unique precision. In addition, we use the FOX III laser to eliminate the infected pulp, with a bactericidal power much greater than the conventional irrigator. In this way, the combination of the two instruments with expert dentists, we ensure a 99% success rate in endodontics. There are many types of dental implants, but only one ideal for each patient. According to the characteristics of the patients, we will use one technique or another. 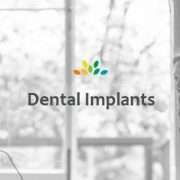 A dental clinic should always have a wide range of options when it comes to placing dental implants in their patients. In terms of health, there are always unique needs in each patient, and in Asensio Advanced Dentistry we feel committed to each and every one. Next, we will present different types of dental implants that we use in the Asensio dental clinic. 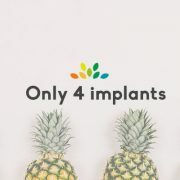 All On Four is the method of the four implants. A revolutionary system that has changed the lives of thousands of people. By means of only four implants, an entire arch of the mouth can be replaced. In a day and with hardly any discomfort. With a minimum recovery time. All On Four is the ideal solution for those who have to replace much or all of their teeth. If we only need one piece, one of the options is to place a dental implant. This method, simple and safe, is the most reliable and durable that exists. Even more than dental bridges. In addition, it is important to keep all the teeth. If a single dental piece is missing, there are certain risks and negative consequences, both in terms of health and dental aesthetics. 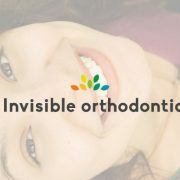 Between All On Four and techniques for a single tooth, there are many options to preserve optimal aesthetics and health in your mouth. Whatever your needs are, in Asensio Advanced Dentistry we only use materials of the highest quality, safety and durability in patients, such as Nobel Biocare. Each patient responds to different needs, and therefore we always carry out a preliminary study, with 3D scanning and digital radiography, completely free of charge.